The One Day CSCS Health & Safety Test Refresher Training course is intended to provide candidates with the latest health & safety updates in construction and prepare them for undertaking the CSCS Health & Safety Test. 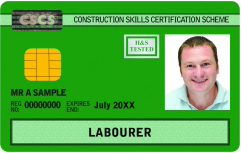 Any employee who wishes to retake their CSCS Health & Safety Test. Introduction – outlining the latest health & safety updates in construction. Prepare for the CSCS Health & Safety Test using recommended revision materials, working through all the knowledge questions. The cost of the 1 day CSCS Health & Safety Test Refresher Training is upon request. Assessment is through the CSCS Health & Safety Test.